Tom is a regular contributor to our US Facebook page. maternity leave. Leo has been doing duty as a house husband taking care of their twins, Finn and Fiona. All the above seems disjointed at first but the author ties these seemingly loose ends together rapidly in a spellbinding way. The action is steady and I was anxious to see what the next page would bring. 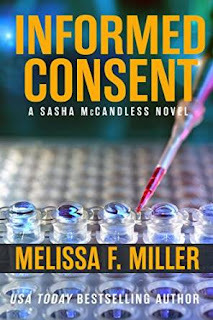 All in all, a wonderful story and, in my opinion, one of the best in the Sasha McCandless series." If you are interested in being a guest reviewer, contact me through the message form!